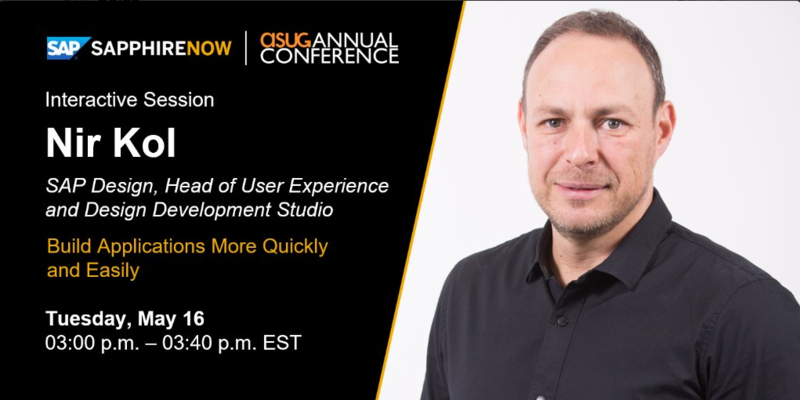 On Tuesday Afternoon at 3:30 PM at DP527, Nir Kol will show you how BUILD can reduce costs and speed up development times by allowing anyone to design and create enterprise applications end users love. What does cloud and mobile have to do with the need to create these apps quickly? Why can’t organizations just take their time as they have in the past? Taking time to roll out new applications is no longer the standard. By 2020, almost 6.1B individuals will own and use a smartphone (cloud and mobility). These devices allow for applications to be downloaded, used and discarded in matter of seconds, not days or weeks. An organization’s application development (and deployment) process must not only address the need for innovation, but also be quick and easy. Oh, and lets not forget that these apps must be easy to use. During his session Nir Kol will discuss the value both end users, and organizations, receive from well designed business apps. How the key to creating well designed apps, and their value, is by capturing end user’s needs early on. Kol will show that with the right tools and resources, anyone can practice user-centered design to quickly and easily design enterprise applications end users love. Create an interactive visualization of the app to bring your ideas to life quickly and easily. All of these features will allow for an organization to keep pace with innovation, develop apps quickly and easily, and ensure that the apps developed are adopted (and loved) by their end users. Please join Nir Kol on Tuesday Afternoon at 3:30 PM at DP527 to learn more and join us for this fantastic session. Can’t make this session, make another one. View our Sapphire schedule here. For more information on BUILD click here, or visit www.build.me to try BUILD for yourself today. If you have any questions, leave them in the comments below or find us on twitter @buildwithBUILD. Nir Kol is the senior vice president and head of the User Experience and Design (UXD) Development Studio, leading the development of Build. Visit his LinkedIn Profile for more.